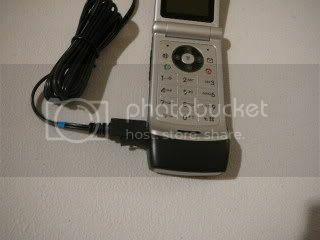 Check out this Motorola W375 Users Guide. Push and hold down the Red End/Power button, to the right and slightly below the round four way button,for four to eight seconds. This is the Start/Stop Menu Key. If you push this button it will end your phone call. It will also stop any function like stopwatch or lantern and take you back to the home menu from anywhere. If your phone is ringing and you push this button it will end the call. Pushthe lower button on the edge if the keypad to lower the ringer volume. If you want your phone tojust vibrate keep clicking the lower button until it shows zero volumeand vibrate. One more click to the left will turn off vibrate and your W375 will be silent. The higher button makes the ringer louder. The last position before silent it vibrate. Without opening your W375 you can push on either the upper or lower button on the side of your phone (when your phone is open these buttons adjust the ringer volume). With your phone open youcan push the red end button or the left soft key (ignore) while the phone isringing to stop the ringing if you do not wantto answer the call. Motorola W375 Users Guide from Compare Prepaid Cell Phones. 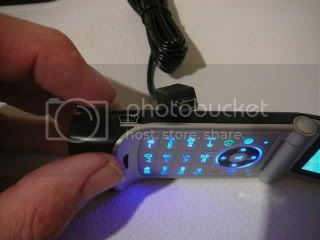 Where can I buy the Net10 Motorola W375? I have found the phone at a few retailers like Walmart and Target. It is also available direct from the Net10.com Website . I have found the phone is usually $10 cheaper direct from Net10 than from Wal-Mart or Target. Enter the phone number, then hit the green button to the lower left of the 4-way round button. Clickthe right "Message Key" (right of the round 4-way with the little envelope on it) to go to "Voicemail". This will make a phone call toyour message box. You will be charged for minutes while you are listening to your messages. How do I check voicemail without using minutes. After you have set up your voicemail you can turn off your phone and call from a land line. Put in your password and listen to your voicemails without paying for the minutes. Clickthe right "Message key" (right of the round 4-way key ) to go to "Inbox" thenclick down to the message you want to check and click. You will see the start of the textmessage, if you click on the message you will be charged .5 unit for receiving it. Enter the number you want to add in, click on the left soft key"Store" thenclick on "Change" and add the name. Put in the area code so if youcall them when you are out of the area code you will still be able to use the autodial. 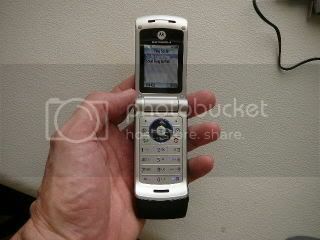 This is the Motorola W375 Users Guide. Select "Menu" then "Office Tools" then "Alarm Clock" then [New Alarm] You will then be required to name your alarm and you can adjust the volume and change the tune of the alarm. Once you have set up an alarm you can go to the "Alarm Clock" menu and enable it or disable it. You can set up several times for alarms and name them the time and then the next time you want to set that alarm time you can just go back and "Enable" that time. This is a nice and simple daily alarm system. 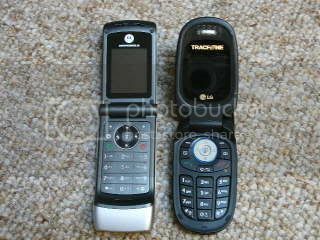 How do I find out my Motorola W375 phone number? Click on "Menu" then "Prepaid" and scroll down to "My Phone Number" and Select. How do I Check my airtime balance? Your airtime balance is shown on your screen Click on "Menu" then "Prepaid" and scroll down to "Airtime info" and Select. How do I change the wallpaper on my Motorola W375 phone? Select"Menu" then "Personalize" then "Wallpaper." You willhave some preloaded choices or you can use one of the pictures you have taken with your phone. Select "Picture" now you can choose"Preloaded and Downloaded media files" or "Additional Storage D" for pictures you have taken with the phone. Clickon "Menu" then "Office Tools" then"Lantern." Select and your screen will go blank with the back lighton. Click the red End key to go back to the main menu. You can set this to last Thirty seconds, one minute or two minutes. Clickon "Menu" then "Office Tools" Then "StopWatch." When you want start the timer hit "Start," (left soft key) even if the screen light hasgone out and you hit "Start" the timer will start. You can push one ofthe number keys to turn the light back on. "Stop" and "Snapshot" are thetwo options. "Stop" will end the timing session. "Snapshot" will save thelap time. You can save up to nine lap times. You cannot navigate awayfrom the stop watch and leave it running. If you hit the red "End key"you will go back to the main menu and the stop watch function will notsave the time. Thecalculator works really well once you get used to it. Click "Menu" then "Office Tools" select "Calculator". Put the first number in then use theleft or right on the 4-way button to get to add, subtract, multiply andclick select. Now put the second number in and click select. Youranswer is in the window. If you use the top left 'Soft Key" which is "=" then you can start another calculation. This calculator is fast and easy. I like it because it is easy to use one handed. How do I go back to the original Motorola W375 settings? Click "Settings" Then "Initial Setup" Then "Master Reset". "MasterReset" will reset all the settings of your phone to original. It will not erase your pictures or delete your phone book. "1234" is the securitycode if you have not reset yours. Put this in and you have set thephone back to the original settings. You will not lose your phone bookentries with the "Master Reset." "Master Clear" is right nextto "Master Reset" in the menu and will wipe all information you haveentered into the phone. "Master Clear" will wipe out your phone bookand the pictures you have saved. Click"Menu" go up to "Settings" go to "Security" go to and select "NewPasswords." The default password is usually "1234". You will have to check your owners manual if "1234" does not work as your password. Put in thedefault password, then your new password, then your new passwordagain. Now set your phone to require the password every time you usethe phone. Click "Menu", "settings", "Security", "Auto Key Lock." Iset mine to one minute delay so I do not have to put it in if I ammaking a couple of calls in succession. Now you will have to put inyour password --a four number code-- to make a call. This will makeyour phone worthless if someone steals it. It will also keep otherpeople from burning up your minutes without your permission. Ihighly recommend that you change the security code on your phone. Thiswill keep someone else from going in and changing it on you. They mayjust be horsing around but with your own code in there they cannot doit. I would also recommend auto locking your phone. You can have your phone automatically lock when you are not using it. Then when you use your phone the security code will have to be put in. This will make your phone useless if someone steals it. How do I change the Lock code and Security code? You can set your phone so it can only call numbers in the phone's phone book. For a child's phone or a company phone this could be handy. Click "Menu" then "Settings" then "Security" then "Fixed Dial". How do I use the FM Radio? The radio uses the earphone wire as the antenna. The antenna for the cell phone will not work for FM signals. 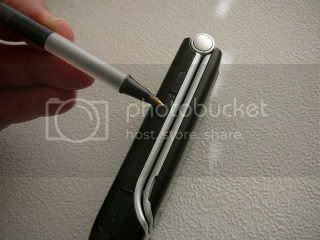 You must attach a wired earphone or headset to the phone. You can then choose between listening to the radio with the phone speaker or the headset. The Motorola W375 Users Guide and Faqs from Compare Prepaid Cell phones. Learn to easily use your new W375.